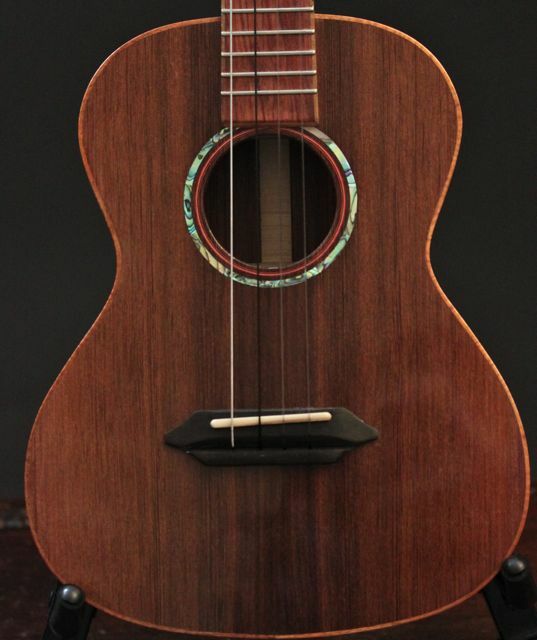 Sinker Redwood Tenor Ukulele: Back, sides and top Sinker Redwood, Curly Koa binding, shell inlay, Bubinga fretboard. 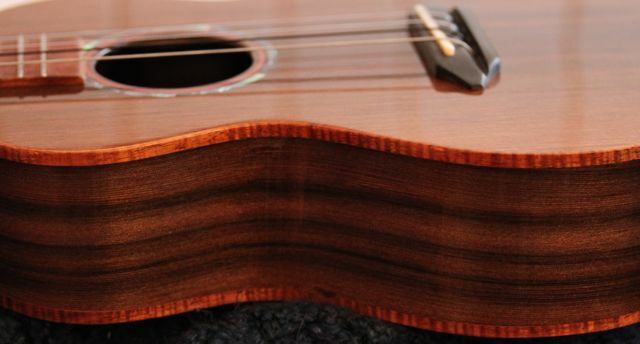 To understand how excited we are about this latest Lichty Ukulele you’ll need to know a bit of the background that led up to an instrument that has knocked our socks off. 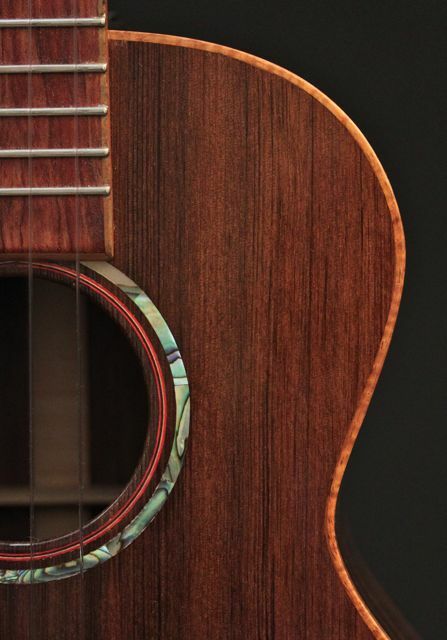 The story of the Sinker Redwoods is a story of surprise and of reclamation. For years no one even knew that some of the biggest, greatest redwood trees, felled by hand more than a century ago, sank on their float trip down the river to the mill. These ancient logs are being carefully removed from the river bottoms and milled. Board foot by board foot they are true treasures. 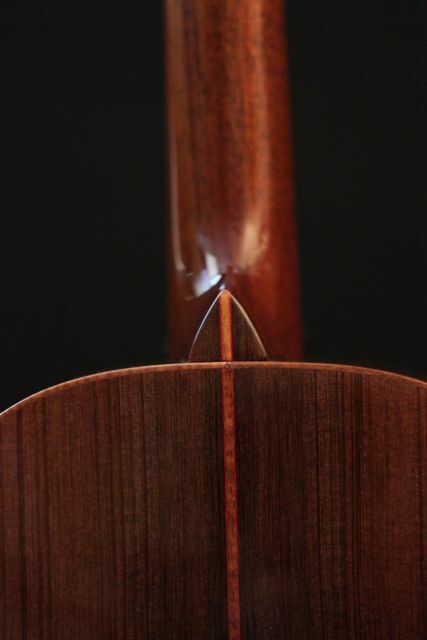 That Jay has been drawn to work with this wood is no surprise. 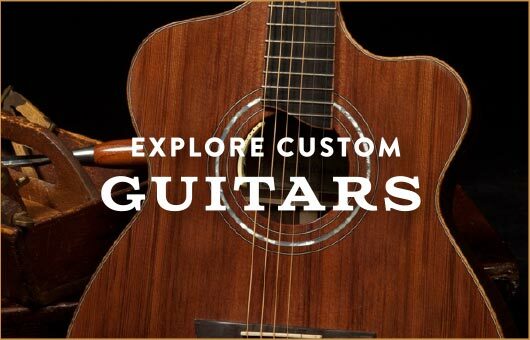 That magic happens when it becomes part of a Lichty Guitar or Ukulele is only natural. 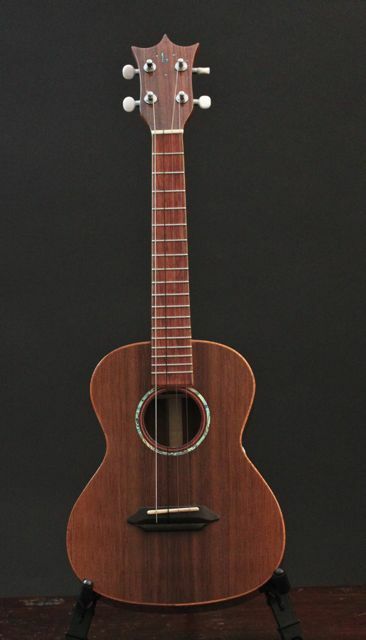 Tom Gossin’s guitar is a great case in point. 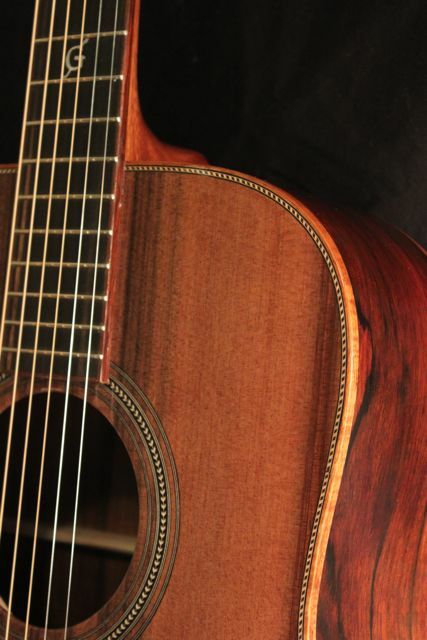 It is custom dreadnought guitar built from Cocobolo wood for the sides and back and it has a Sinker Redwood Top. Incredible! 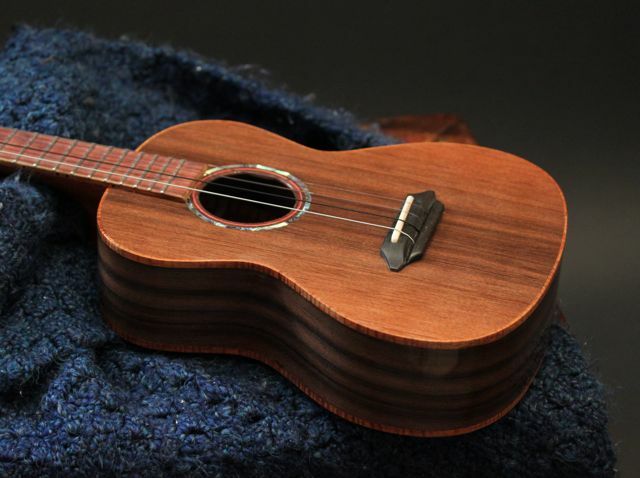 Jay has wanted to build a tenor ukulele out of Sinker Redwood ever since building Tom’s guitar. 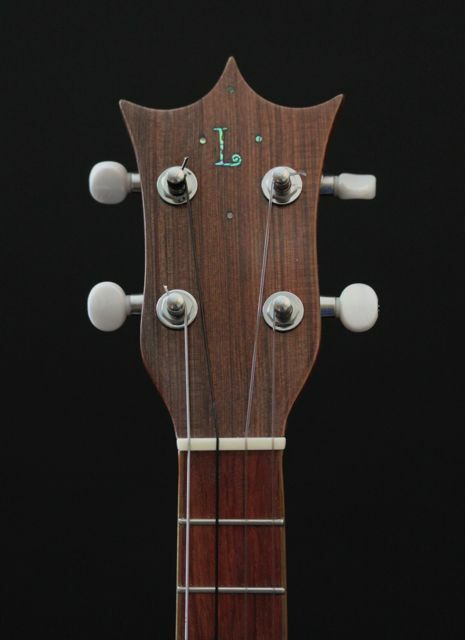 It is now complete and it’s a beautiful instrument – inside and out, visually and acoustically. 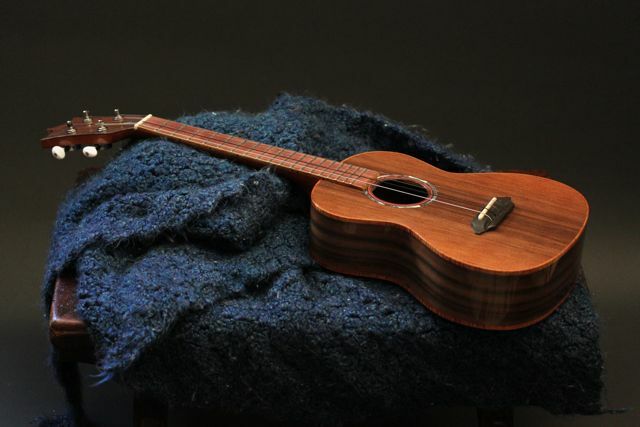 This latest Lichty Uke joins quite a legacy of one-of-a-kind ukuleles.